Alan was a regular and integral part of Teviotdale’s teams from the mid-60’s to the early 1980’s. He ran in eight Edinburgh to Glasgow Relays in 15 years but in the intervening years there was no Teviotdale Harriers team in the race. He was unfortunate in that when he started running with the seniors, the club was regularly well up in all team races but there were many club men who transferred to ESH in the 70’s – Douglas, Elliott, Raeburn, Roden, Mather, etc – and the team took until the mid 80’s to recover. His club loyalty, like others such as George Meikle, cost him medals but kept the club putting out teams. Member of the well known Scally family from Shettleston Harriers, Brian went through the disciplines from 800m to marathon as he went through his career from Boy to via senior man to veteran. The story of the whole Scally family is told at this link In the course of his career, Brian has represented his club in every serious event in Scottish endurance running and been placed first in the S.A.A.A. Marathon (1998), third in 1996 second in the S.A.A.A 3000m indoor in 198 and been, third in ‘99. He also ran very well as a Masters athlete. Bill, father of Brian Scally, followed in the family tradition as a Shettleston stalwart as runner, coach & official. See the link above. His club record is outstanding and includes being a member of the team that won the English national cross-country championship in 1971, and of S.C.C.U. National Cross Country Championships winning team 1971. He was also a member of the winning E-G team 1968, ‘70, and ‘72. When his own career as a runner ended he was team manager and coach for several decades and ran very well as a veteran. Brian (pictured at the top of the page) was a very good middle distance athlete with Maryhill Harriers and Glasgow University, specialising in the half mile but also running road and cross country for them. He later moved to Leeds and coached a big group of world class athletes for longer distances and he himself ran sub 2:30 marathon. Hamish was a good runner from a small club who often travelled down to the Central Belt or up North for road races at all distances. He enjoyed a long career and ran well as a veteran, winning a bronze medal (M55) in the 1987 Scottish Masters XC championships. Jimmy was a runner for the YMCA before and just after the war. He turned out for the club wherever and whenever he was needed including the major championships and in the Edinburgh to Glasgow. He will be remembered for the fact that along with Dunky Wright and a group of stalwarts, he was Secretary of the Scottish Marathon Club from its inception. As a runner he was more enthusiastic than talented and his marathon times never broke three hours. He was meticulous in his administrative duties, efficient in his organisation of road races and, a boon when there were few cars on the road, driver of his own minibus to races all over Scotland and as far as the north of England. He was one of those who campaigned for the SAAA Marathon to be instituted and when that was done, he pushed hard fpor it to be included in the national championships meeting. 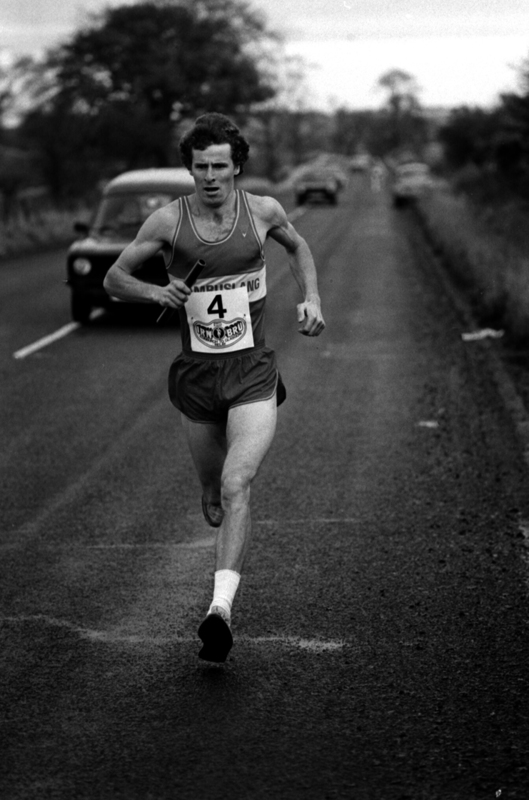 Scottish road running gained a great deal from Jim Scott and he should never be forgotten. We could do with one now. In the Scottish Masters XC championships, Murray won the M60 title in 1986. He ran well on the hills and the roads and won the SVHC M65 10 miles championship. A good track runner, Norman ran cross-coutry and road for Bellahouston (mainly) and Glasgow Police, He turned out in nine E-G relays in the 1970’s. The popular Tom Scott 10 miles road race was organised in honour of Tom whose life was tragically cut short when he was fatally injured in a motor traffic accident on Friday 31st March 1961. He had been travelling south with the intention of competing in the Doncaster to Sheffield Marathon. Tom, who was 29 years of age at his death, was a very fine long distance runner from Law Village. He was a member of Motherwell YMCA Harriers Club and from 1953 to 1955 he was their club champion. Tom was a member of three winning teams in the Scottish YMCA Championships. Being an enthusiastic and keen competitor Tom often competed in major events throughout Great Britain in search of the best competition. On the road Tom ran in the Edinburgh Glasgow every year from 1955 and in 1959 ran the fastest time on the final stage. Joe was a long time member of Paisley Harriers who ran road (including the E-G), track and cross-country for the club. He was a very familiar figure on the road race scene in Scotland through the 50’s and 60’s. 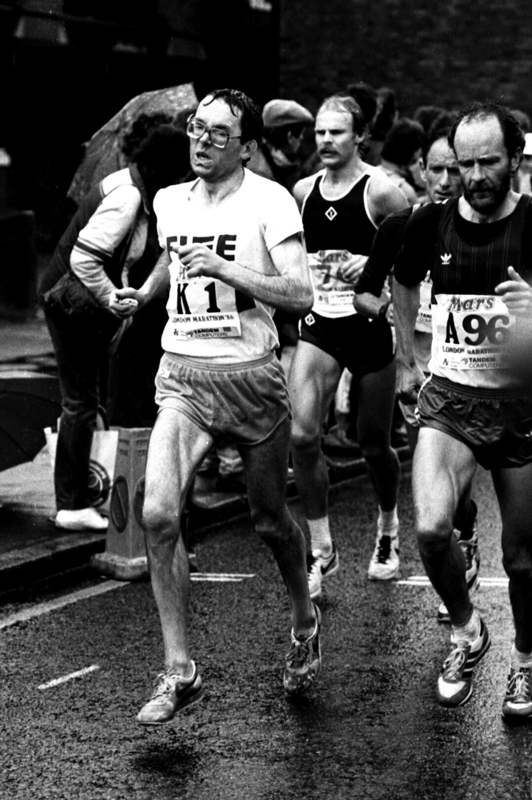 He was in the VP team that finished 4th in the 1981 E to G. After his senior career was over, Gordon became an extremely good veteran runner who won British age-group medals. Jim (or Jimmy) was twice a Scottish International track athlete (at 880 yards / 800m). He won the Scottish 880 title in 1948, and secured silver in 1950 and bronze in 1949 and 1951. Then in 1956 he showed versatility by winning a bronze medal in the Scottish 3000m Steeplechase championships. In the E to G, which he ran 8 times, he was fastest on Stage Three in 1950; and contributed to team bronze in 1953. After his running career was over, for many years he became a popular and well-respected ESH official. Willie was a popular, capable and reliable athlete who ran in races on road and track as well as over the country, often in the company of Willie Day. When his career as a runner was over he became a coach (he was Scottish Staff Coach for the Steeplechase in the 80’s) and timekeeper. Cameron was a key member of the very good Glasgow University squad of the 1960’s representing the University on the track, road and over the country. Personal Bests: 800m: 1.53.9 1973; 1500m: 3.51.1 1971; 3000m: 8.30.0 1974; 5000m: 14.29.0 1974; 3000m S/C: 8.54.0 1978; Marathon: 2:26:33 1982 . It was generally agreed that the very popular Willie was one of the most talented runners on the scene but a common lament was that he never fulfilled his potential. Willie was one of the founders of Westerlands AC, the Glasgow University former members club who was first in the S.A.A.A. 3000m S/C in 1976 and ‘77. He was ranked second in Scotland at 3000m S/C in 1976. While a student at Glasgow University he represented Scotland in the IAAF Junior Cross-Country Championship in 1973, finishing 27th in the actual race. Why did this talented athlete not go further or do more in athletics? The belief is that it was not top priority in his life. Colin was a club standard athlete who ran for his club whenever and wherever he was asked, be it the National Cross-Country Championship of Scotland or a small inter-club track meeting at Ravenscraig Park. He ran in the Edinburgh to Glasgow and ran in the Ben Nevis race three times. Colin went on to become a noted historian, statistician records expert, reporter and official whose book “Whatever the Weather” was the invaluable official history of the SCCU which was followed several years later by “The Past is a Foreign Country”, a series of detailed historical portraits of Scottish athletes, written in collaboration with fellow statistician Arnold Black. Jim Shields and his twin brother Bobby came into the sport in the very early 60’s as boys and both went on competing up into their 60’s. Although they ran well on all surfaces they were known principally as hill runners of quality and won prizes on almost every hill race in the country. As a veteran Jim took up the triathlon where he competed so well that he was selected for the Edmonton Veterans World Championship where he finished fourth. Bobby and his twin brother Jim ran in every event for their club, Clydesdale Harriers as boys, youths, juniors and seniors. Bobby was the first to take to the hills and won races all over Scotland including the Ben Nevis race. Bobby went further afield and raced successfully in England and Ireland before taking up the triathlon as a veteran. In 1985, Bobby and Duncan Watson pioneered the West Highland Way race. 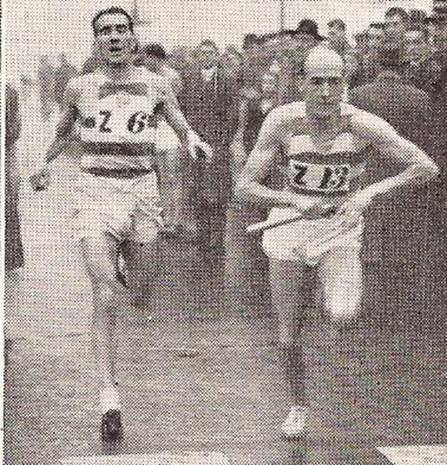 Bob completed the very first Scottish Marathon championship in 1946; and won a well-deserved bronze medal in the 1948 event, only 20 seconds behind the famous Emmet Farrell. In addition, he featured in the first post-war E to G in May 1949. David started out running as a member of the Shotts club before joining Motherwell YMCA and then Law & District AAC in the same era as Andy and Alec Brown, Bert McKay, Ian McCafferty and company. A good cross-country runner, he represented Scotland in the I.C.C.U. World Cross Country Championship in 1962. At club level, he was a member of the winning team in the 1963 National Cross Country and second team in ‘64. In the Edinburgh to Glasgow, he won gold medals in 1962, ‘63, ‘64 (when he was fastest on stage 5), silver in 1961 and‘65, and bronze in ‘66. He was also a member of the Scottish Marathon Club and ran in most of the road races in Scotland all the way up to the marathon. Eddie Sinclair Springburn Harriers – read about Eddie as a coach by clicking on his name. Eddie was a talented runner from the moment he started with Springburn Harriers as a young athlete. Successful in all aspects as a performer, he was first in the S.A.A.A. 3 mile championship in 1960 in 14:05. Over the country he ran for Scotland in the international in 1960. There were many other victories and titles too for Eddie Sinclair before he turned professional for a short spell in the mid 60’s. He began coaching when his actual running career ended and became even more successful as a coach than he had been as a runner, he was said to have coached over 50 champions at Scottish School and age group level. A link with Lenzie Academy led to trophy winning benefits on both sides. 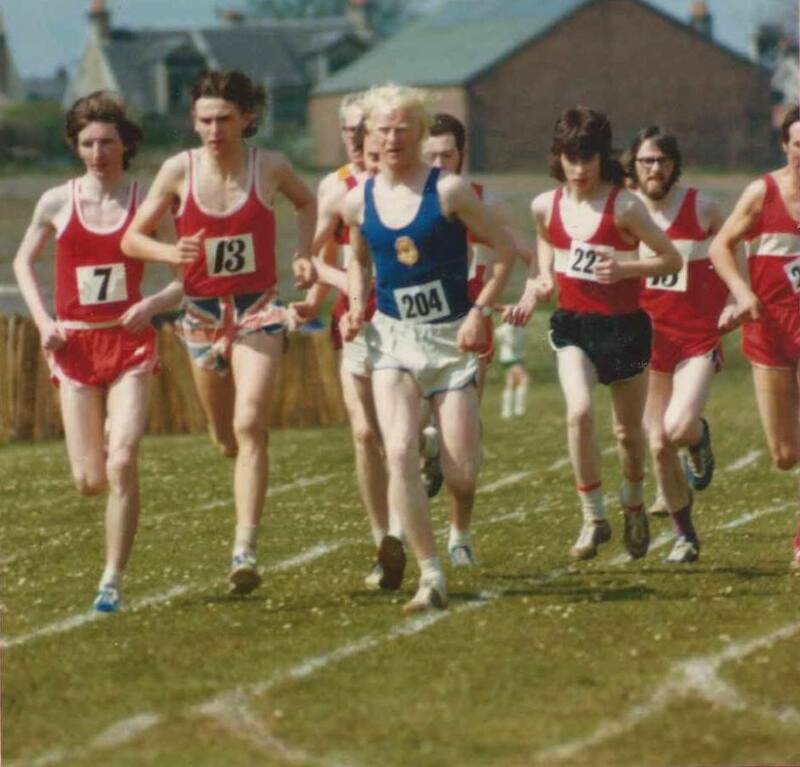 When the various SCCU Districts started Young Athletes Relays in 1976, Springburn Harriers won them in the first five years of their existence; in 1977 his team won the first National Young Athletes relay. In Championships, they won national team titles at Junior Boy, Senior Boy and Youth stages. He also worked with many national champions with Graham Williamson being the outstanding example. He was a Scottish International track athlete at One Mile. In addition, between 1947 and 1953, he ran for Scotland four times in the International Cross-Country championships. and was a team counter three times. 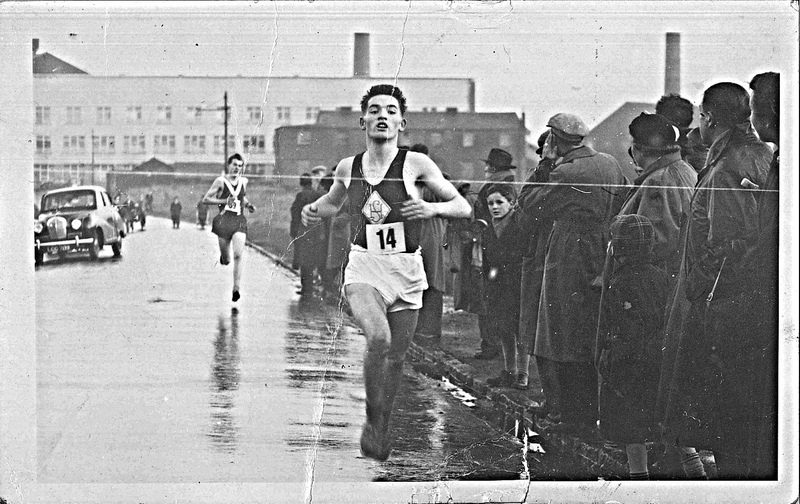 He won the Scottish One Mile title in 1947 and 1950, was second in 1948 and third in 1946. George was a good, solid example of what every club wants: a bit more talented than most, hard working and dependable. On his day, especially as a young athlete, he was very good indeed; on an off day he was a good man to have in your team. Jim Sloss raced at almost every highland games and road race on the circuit at one time or another. His favourite event seemed to be the steeplechase in which he was nationally ranked in 1963, ;64, ’65, ’68, ’69, ’70, ’71, ’72, ’73 and ’74. Jim of course ran in all the races, including championships, every winter and also ran as a veteran. Alec appeared running for Plebeian as a Junior in the 1952-53 national championships when he finished seventeenth before turning out as a senior the following year. He was forty fourth in 1953-54, missed two years in the National after that. He did however keep running in the South West District championship which he won in 1956/57 before joining for Victoria Park. In 57 he was tenth in the national, in 1957-58 where he was thirtieth and in 1959-60 when he was away back in 122nd which was his last appearance in the National. He turned out twice in the Edinburgh to Glasgow for Victoria Park – in 1958 and ’59 when he ran on the last leg for the third placed team. Starting his career with Monkland Harriers, Joe was a member of the Monkland & Clyde Valley teams at the time of Jim Brown, Ronnie MacDonald, John Graham, Ian Gilmour and many other GB standard athletes. A very good, reliable runner he was a member of the S.C.C.U. National Cross Country winning team in the Junior race in 1973, along with Jim Brown (1st), Ronnie McDonald (4th) and J Davidson (9th). As a Senior Man, he was in the team that was second in ‘80 & ‘82, and third in ‘81. In the National 6 stage road relay, Joe was a member of the second team in 1979 & ‘80. In the big one, the Edinburgh to Glasgow eight stage, he won one gold and 3 bronze medals in 10 appearances. Joe Small 7, John Graham 13, Bill Yate 204, Pat Morris 22? Alan finished second in S.A.A.A. 1500m indoors in 1987, and third in the 800m indoors in 1987 . In the 1985 Scottish 6 Stage Road Relay, ESH won silver medals. Personal Bests: ; 880y: 1.56.5 1972; 800m: 1.55.8 1974; 1 mile: 4.13.9 1965; 1500m: 3.50.2 1972; 2 miles: 9.00.4 1965; 3 miles: 14.07.0 1965; 6 miles: 29.49.0 1965. Albert was a well known competitor on track, road and cross country for Victoria Park for many years. First appearing on the scene as an U17 runner, he went on to win District titles as a senior, represent the club in medal winning teams on the road and over the country before racing for a time in the ranks of the veterans. He was also a good coach of many good runners, including Ian Archibald, SAAA 1500m champion. In the Scottish Junior XC championships, he won two team medals: gold in 1977; and bronze in 1978, when he finished third. Ranked 4th in Scotland at the marathon in 1960. He does not seem to have run for Maryhill either side of the Second World War. However, in 1972 (the first official Scottish Veteran Cross-Country championship) one Ron Smith (SVHC) finished second M60 behind Emmet Farrell; and then in 1973, Herbert Smith (either SVHC or a member of Maryhill) won M60 gold, in front of Emmet Farrell. ‘Ron’ does not appear again; but Herbert (Maryhill) won the M70 title in 1982. Emmet won in 1981 and 1983. In the 1985 Scottish 6 Stage Road Relay, ESH won silver medals. Kirk added a similar medal in the 1986 Scottish Junior National Cross-Country championships; and that year he ran the E to G and his team finished 6th. He ran for Scotland in the International XC Championships in 1946 and 1947. Ronald Speirs spent most of his running time in the USA and many good times were returned there, In Scotland as a member of Bellahouston Harriers, he was second in the S.A.A.A. 1500m 1976. George was a good club runner with Greenock Wellpark Harriers – detaile of his career with the other family members are at this link . George went on to become one of the country’s best known officials and administrators. Gordon Spence, Greenock Glenpark Harriers. Gordon was another of the Spence brothers and said to be the most talented although Lawrie would probably query that. Jim was a quiet, thoughtful man who was a very good runner. A member of the Scottish Marathon Club he won the club championship and supported all their events. After his running career ended, he went into coaching with young brother Lawrie certainly his biggest success story. Lawrie is arguably the best all-round distance runner the country has produced – from a sub-four mile to a 2:16 marathon he ran well at every distance. He was also a great cross-country captain and captained the national team following Jim Alder’s reign in the position. Douglas ran for Garscube Harriers in the late 50’s and early 70’s, mainly on the track, where he was a capable athlete at a time when there were many top class athletes around, and on the road where he represented the club in the Edinburgh to Glasgow on first, second and seventh stages. Graham was one of those thought a possible for the first Scot inside four minutes for the Mile. He didn’t manage that but his track record includes the following: second in the S.A.A.A. 1 mile championship 1959, third in the 3000m S/C 1965, ranked first in Scotland over 880y in 1959, third in the mile in 1963. Finlay was a contemporary of Ian McCafferty, Eddie Knox, Alistair Blamire, Jim Brennan and the Victoria Park trio of Des Austin, Joe Reilly and Aliustair Johnston and more than just held his own with them. He was a good club runner with EAC whom he represented between 1964 and 1969. In the Edinburgh to Glasgow he twice ran the first stage, finishing fourth, and twice ran on the fifth stage. In the National he ran well enough in 1966 when he was seventh in the Junior National to make the Scottish international cross-country team for the ICCU championships in 1966. Ian was a very good runner who revelled in the steeplechase, being ranked every year for 19 years from 1980 to 1999. An excellent endurance runner on all surfaces, he had what must be a unique record in the Edinburgh to Glasgow Relay: (a) He won medals of every colour – not only gold, silver, and bronze but also the medal for the ‘most meritorious performance by an unplaced team’, this last being as a member of the City of Edinburgh team in 1998; (b) he was in teams which finished first (1982) and last (20th in 1995). He ran a total of 17 such relays. 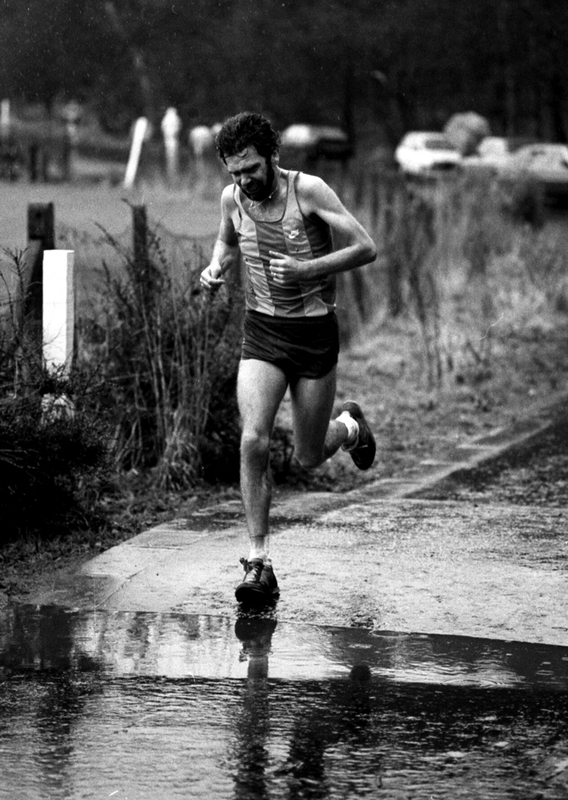 Ian was also a top class country runner who was good enough to represent Scotland in the IAAF junior international cross-country championships in both 1981 and 1982. A contemporary in ESH of Allister Hutton, Ian Elliott, Dave Logue, Colin Youngson and Evan Cameron. On the track he won the SAAA steeplechase in 1984 and 1987 and was second in 1988. John ran in all events during his short stay with Dumbarton and his best run was when he was second in the S.A.A.A. Marathon in 1991. He won the Inverclyde Marathon in 1983 and 1984. Springburn Harriers was one of the top three or four clubs in the country before and just after the War. AC Stevenson was a key member of their squads in the 1950’s winning medals in the two top competitions of the inter, the Edinburgh to Glasgow road relay and the national cross-country championships. Personal Bests: 3000m S/C: 9.29.3 1981. 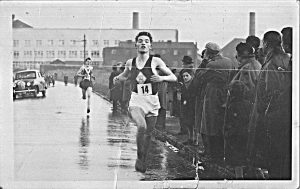 After the War, when Springburn Harriers were seriously challenging for the top prizes in Scottish athletics, John Stevenson was an important member of their team. Between 1951 and 1953 inclusive they finished second, second, and third in the National cross-country championship. John’s positions were 6th, 13th and 15th. He ran well on the road too with his best run in the Edinburgh to Glasgow probably third on the first stage in 1950 when the club was third. John and his brother Tom were the top men in Greenock Wellpark Harriers when the club was doing really well after the War. There is more information about them at this article on Wellpark Harriers at this link . Although he was a very good track runner with frequent invitations to top class races, John is best remembered as a road and cross country runner with four international appearances to his name in the ICCU Championships in 1953, ’54, ’55, ’56. As a veteran in 1972, along with his brother Tom and Bill Stoddart, John was in the winning Wellpark team in the very first Scottish Masters Cross-Country championship. Tom had six appearances in the ICCU Cross-Country championships. These were in 1949, ’52, ’53, ’54, ’55 and ’56. One of the best in the country, to get the whole picture, follow the link above. As a veteran in 1972, along with his brother John and Bill Stoddart, Tom was in the winning Wellpark team in the very first Scottish Masters Cross-Country championship. He won the M55 title in 1985; after securing second place M50 in 1980. Although not in the first rank, Robert Stevenson was a very good runner with what was by then a much smaller club than when Emmet, Dunky and Donald. were the best the country had. Ranked twice in the top twenty Scots, including Anglos, in 1977 and 1981 when marathon running was of a very high standard in the country speaks well. He also ran well on the road in open competition and on the country. Eddie was one of the most consistent distance runners the country has produced and an excellent influence on any team that he ran for. Starting as a schoolboy with West of Scotland Harriers, he moved to Cambuslang when the club folded. 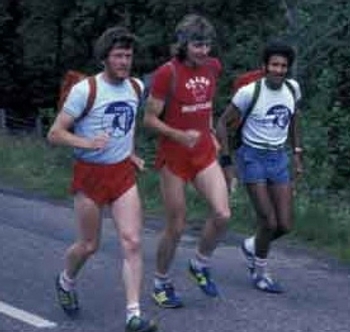 Eddie ran in the IAAF Cross-Country Championships twice – in 1982 and 1984. Peter won both Scottish and English 1500m titles and ran in the European Games. He also ran several times for Scotland including in the 1970 Commonwealth Games where he finished fourth in the final of the 1500m, before changing allegiance to run for England. Andy Stirling was a good runner when he was at University but he was at least as god as an ultra distance runner, winning the Two Bridges race from Donald Ritchie in 1991 and 1993 with third place in 1995. A superb veteran he won the Scottish veterans hill running title four times. Kenneth Stirrat Halifax, Ox ford University. Kenneth was third in S.A.A.A 3000m S/C in 1994 and ranked third in Scotland over 3000m S/C in 1994 and ‘97. Because of the demands of his employment, Bill had a break mid-career and came back as a veteran runner of real class setting records at a variety of distances. He also won the SAAA Marathon in 1969 and finished second in 1971. Rod was a Northern Ireland internationalist who lived in Cumbernauld, joined Cambuslang Harriers and did most of his running in Scotland. For Cambuslang, he ran the E to G 11 times, winning a silver medal with Cambuslang in 1980 – and for ESH bronze in 1986. He also ran for H.E.L.P. in 1987, 1988 and 1990, as well as assisting with road and Cross-Country race organisation and club administration. In the Senior National, he added bronze in 1980; in the Six-Stage Road Relay, gold in 1986; and in the Scottish Cross-Country Relay, gold in 1981 and 1984 and bronze in 1982. For Northern Ireland, in an international match against Scotland, Eire and Wales, Rod finished an excellent third in the 1981 Glasgow Marathon, just in front of the three Scots who won the team award. Duncan contributed to Senior National Cross-Country bronze medals in 1990 and 1993. Matt contributed to team gold medals in the 1994 Six Stage Road Relay and silver in 1991; as well as silver in the 1991 Senior National XC, when he finished 15th, and bronze in 1993..
David was born and brought up in South Africa, lived in London and moved to America but had a Scottish qualification and used it. A quality runner, he could have chosen to run for several countries. He competed in 1995 World Championships, ‘96 Olympics, ‘94 European Champs., ‘90 & ‘94 Commonwealth Games. Ranked first in Scotland over 800m, 1500m and 1 mile on numerous occasions between late ‘80s and mid ‘90s. In 1949 he finished sixth in the Senior National XC and Shettleston won the team title. Henry was a loyal clubman and a much better runner than he is often given credit for. In the Edinburgh to Glasgow he won seven gold and one silver, and in the national his record was, three gold, two silver and three bronze.